In this article, I will talk about Best Puzzles Games for Android. Many game lover addict to play the Puzzle Game. Puzzle game helps the boost and sharp your brain. In this article doesn’t include the room series because I was writing a different article from series. Some games are paid but don’t worry I will free download link given. All Game is Offline are available. here is the 16 best puzzle Game list given Below. Returner 77 is 3D Sci-fi Puzzle Adventure Game. 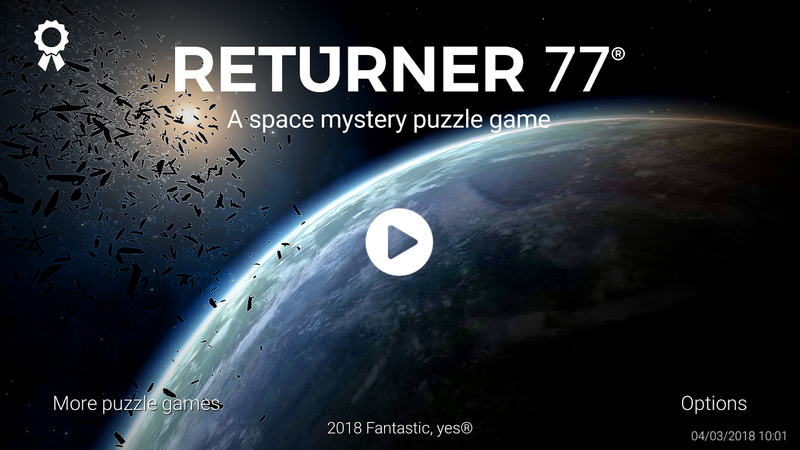 Returner 77 stories of 77 last survivors of the alien spaceship and exploring an alien spaceship with the help of video clip and hints. This Game Similar to room Game.Best Puzzle Game and Great Sound Effects. -Hint and auto solve option is available. Lara croft go is a puzzle adventure game. Lara croft explores the ancient civilizations and find out the secret and face the deadly challenge. This game wins the best mobile game award. This game is available in play store RS.80. Hitman Go is an award winning game. Hitman go is the best puzzle game for all time. challenging puzzle and assassination skills. Beautiful environment is available. Many weapons are available. simple navigate and control is available and beautiful sound track are available. Deus Ex Go is a turn-based puzzle Android game. the publisher of Deus ex go is Square Enix. after the sucess of hitman go and lara croft go Square Enix launch the Dues ex go. This Game is a single player Game. this game is the best mystery game. many deadly chalange. Limbo was release in 21 July 2016. this game is many awards winning a game. the publisher of Limbo is Playdead. limbo game based on small kids story. this game is a deadly horror game. this game is the best puzzle game ever. Limbo Game is Available in play store in Rs. 322. Machinarium is one of the best game is this list. Machinarium is a Puzzle Point Adventure Game and best puzzle Game. Machinarium is a story of one robot to face the challenges. The Publisher of Machinarium is Amanita Design. The Price of Machinarium is 170 in Play Store. Monument valley Game Series Are the best Puzzle in this List. Monument Valley Game Based On Mother and daughter. Mother is the Guide of Child. Monument Valley series both game are award winning game. Many Puzzles are available. The Best thing in this game is Soundtrack Very awesome Soundtrack. The Price of Monument valley is rs.260 and Monument valley 2 is rs.400. Faraway is Free Puzzle Game In this List you can download the game in play store freely. faraway is a find an escape temple and full on challenging and a mystery game. the Publisher Of Faraway is Snapbreak. In the play store this game rating is 4.5. The house of Da Vinci is one of the Best game. House of Da Vinci is the similar of Room Series. I think this game was a best alternative game of room series. Awesome 3D graphics and simple control to play the game. in play store the price of the house of Da vinci is Rs.400. Legacy 2 Testing your Mind and memory in this challenging 3d puzzle game. Find the clue and solve the puzzle in this game. the solution is there. This game is Best adventure Game Also. There are much Room is available and many puzzles are available in this game. every next room puzzle is hard. This game is available in Play store in Rs. 140. Shadowmatic is a 3D puzzle game published by Triada Studio. Shadowmatic is puzzle game many items are available to solve a puzzle in using shadow. shadowmantic are a free game in Play store but can not play all level you can play full game you can purchase the additional level. In shadowmatic 14 chapters are available and more than 100 Puzzle are available. Framed Game is a winner of over 25 awards. This game is Noir puzzle Game. This game is an addictive Puzzle game. Re-arrange the animated Comic Story in a Game. Awesome shadow Graphic is available in this game. This game is available in Play store with the Rs.200. Framed game is puzzle game. Vandals is a spray man Story. Make art in the street and escape from the police. Vandals Game Publisher is ARTE Experience. Vandals are the awesome graphics and soundtrack. Hint options are available. Five cities are available This game are paid game available in play store with the Rs.360. Dream Machine is one of the best game in this list. This game published by Gamedigit. Dream Machine game almost similar to monument valley and mekorama. Dream Machine aisgreat 3D graphics Game. Dream Machine escapes an inhuman factory. This game aisavailable in play store with the RS.140. Mekorama is a best Puzzle Game ever. Mekorama is small size game and offline Game. Mekorama is a small robot story to solving the puzzle. more than 50 puzzle are available. Amazing 3D graphic are available. This game are almost similar tot he monument valley and Dream machine. this game are available in play store with freely. How to install Free Download? Step4:- After set the Data file open the Game and enjoy the game. Note :- Free Download game don’t use the play service.